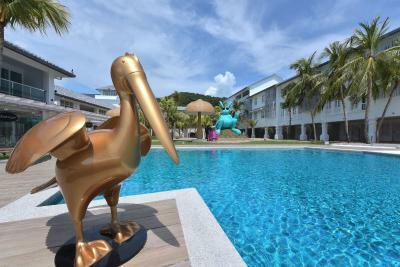 Lock in a great price for Dash Resort Langkawi – rated 8.2 by recent guests! The scenery was beautiful and the breakfast was perfect. The pool was amazing. Location. Clean rooms. Swimming pool. I like the idea of the serving breakfast per request which has reduced the waste and made the experience more enjoyable. Great helpful staff. Very exclusive and high class hotel...nice view for picture. It was just great ! There is no need for other word ! As I said in the title, never die before staying in this hotel ! Bar staff very friendly. The fitness room reasonable. This was an amazing stay. The facility was new, clean and beautiful. Private beach and amazing infinity swimming pool. There is bar seats in the swimming pool in addition to Jacuzzi. Delicious breakfast. The stay was amazing, but would love to mention some points: Rooms we had only fits two people and hardly fit someone with a kid so please check which rooms you are sitting in. Right now there was no elevator for rooms in the 2nd and 3rd floors, but staff will help you with your luggage. They also said there will be elevator soon. Please also keep in mind this is a new resort so some issues in the rooms might comes up and need to be fixed. All staff are very responsive, so let them know when you have issues. By all means an amazing hotel. Attention to detail on everything especially the interior decore. 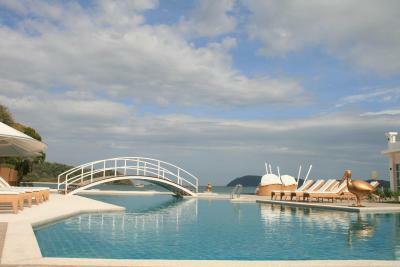 The pool area is amazing, gives feel of infinity pool with beach facing views. Has a very calm private beach with water sports. beautifully decorated and well maintained. Excellent stay. Location and amenities amazing. Front desk staff more helpful. 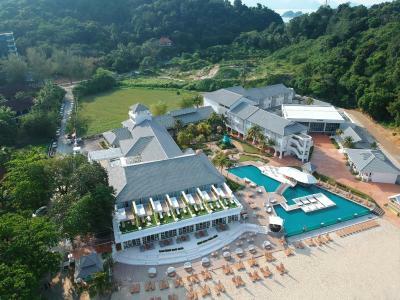 Dash Resort Langkawi This rating is a reflection of how the property compares to the industry standard when it comes to price, facilities and services available. It's based on a self-evaluation by the property. Use this rating to help choose your stay! One of our top picks in Pantai Cenang.Located along Pantai Tengah Beach, Dash Resort Langkawi offers accommodations with views of the Andaman Sea. 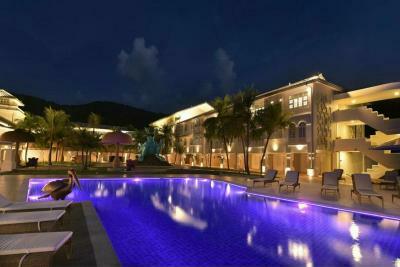 It features an outdoor swimming pool and sandy beach. Free Wi-Fi and private parking are provided. Rooms at Dash Resort Langkawi are uniquely designed with accented hues and fitted with large windows that offer plenty of natural light. All rooms are fitted with a mini-bar and TV with cable channels. Guests can relax at Dash Beach Club overlooking the beachside infinity pool. The resort provides safety deposit boxes and luggage storage facilities at the front desk. Laundry and ironing services are available upon request. The resort offers evening party with live DJ. 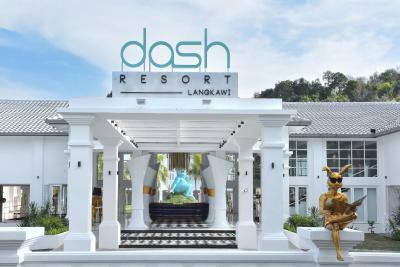 Dash Resort Langkawi is 6.2 mi from Langkawi International Airport and a 14 mi from Kuah Jetty and Kuah Town. 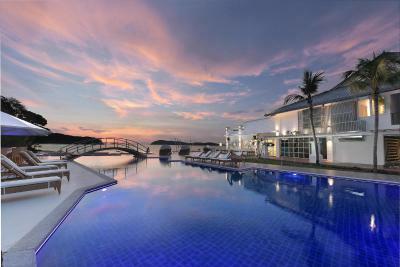 When would you like to stay at Dash Resort Langkawi? Rooms come with hardwood furnishings and large windows that have plenty of natural light. They are furnished with a minibar and TV with cable channels. This double room features a satellite TV, electric kettle and seating area. This double room has a balcony, executive lounge access and electric kettle. This double room features a balcony, executive lounge access and air conditioning. This villa has a balcony, patio and mini-bar. 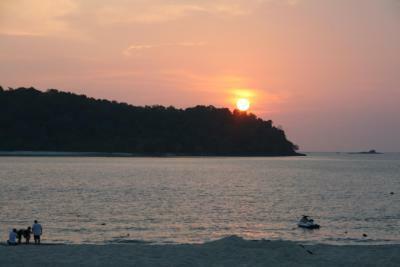 House Rules Dash Resort Langkawi takes special requests – add in the next step! 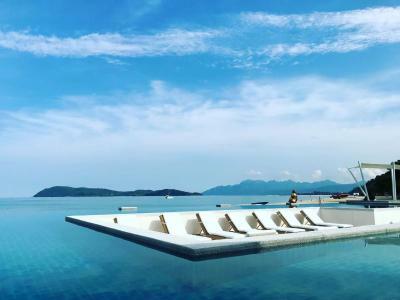 Dash Resort Langkawi accepts these cards and reserves the right to temporarily hold an amount prior to arrival. 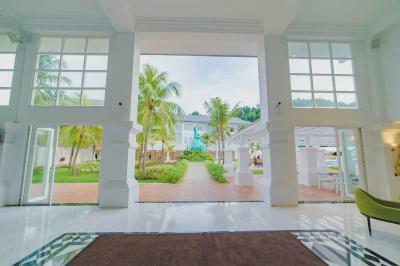 Please inform Dash Resort Langkawi of your expected arrival time in advance. You can use the Special Requests box when booking, or contact the property directly using the contact details in your confirmation. The room does not feel very clean as well as the rest of the interior in the hotel, maintenance obviously is not top notch. 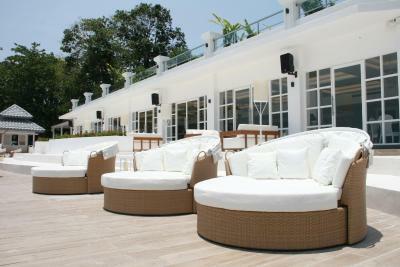 The beach club is cool and comfy, no hassle just good time and good music. I got a comfortable room and beautiful view of swimming pool.The room was good and the pool were happening till the night.The food also good but if they can provide buffet that will be excellent.This property was so nice.Recommended. Public areas were clean but our rooms were not cleaned to an acceptable standard. Very dirty floors, bathrooms not cleaned at all during our stay. Cleaning consisted of changing the towels and making up the bed. We booked 2 rooms and often had to chase for second room to be visited. New cleaning staff required. Such a shame as the facilities in the room are very good, but will soon be in a state of disrepair due to lack of care. Lovely facilities. Recently refurbished hotel. Excellent pool and beach location. Great gym. The hotel room was not clean and the staff need to fix the bathroom because the bathroom was clogged.The management team need to improve the air conditioning because it was so stuffy by the end of the day.I was not happy in terms of cleanliness, clogged bathroom and poor air-conditioning although I have asked to change my room twice! Such a beautiful scenery surrounded by Cenang beach, nice hotel with perfect view-so much of friendly staff and they are very helpful especially Mr.Afiq who helped me a lot during my stay in Dash Resort Hotel Langkawi-making sure that i feel comfortable each time.Thank you once again Mr.Afiq & Dash Resort team. The Retro Music starts early until 9pm. It is difficult to have afternoon nap. Otherwise it’s fine. Breakfast: nice pastries. Somehow, the half-boil eggs and coffee is not hot when served. Wonder why? The room I stayed in has a sourly ‘vomit’ smell. Thus, I didn’t swim in the beach because of the raw sewerage is flowing into the ocean. It is unhygienic and unethical. The white color wall and lights brighten the premises very well. 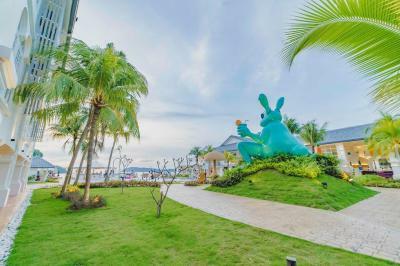 It’s got an unique bunny theme and deco which is not the typical stereotype hotel. Order to make breakfast is a brilliant idea to avoid food wastage. It have a decent swimming pool and a very private beach. Local selection for breakfast was limited and a bit bland. Beds were nice. Pool was amazing. Breakfast à la carte Did not like it Omelettes not cooked enough Too much music till very late the night !